Some friends and members of Cahir Social and Historical Society have come together to establish Cahir Looped Walks in Scaragh Wood. Once completed, these walking routes should be of great amenity to the people of the town and surrounding areas. 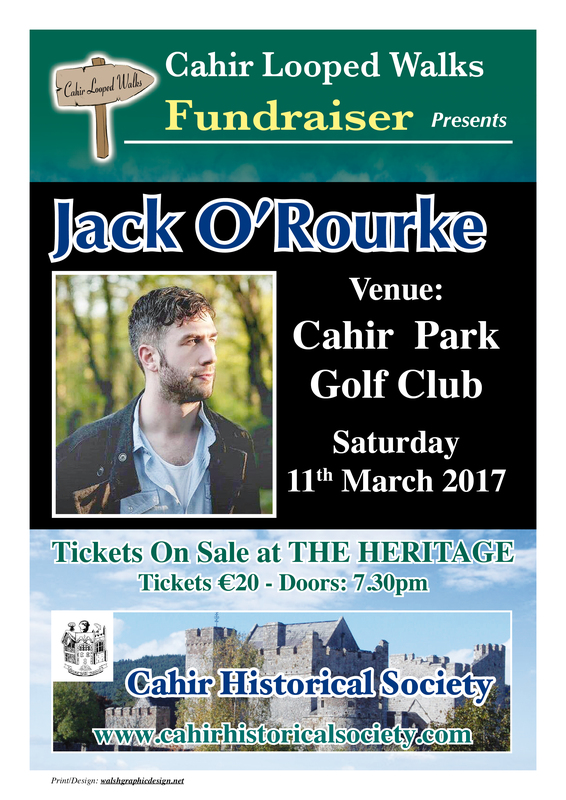 In order to raise some funds for this project, Cahir Looped Walks have invited the singer/song-writer, Jack O'Rourke, to perform in Cahir Park Golf Club on Saturday, 11th March next. Tickets are €20 and are available from "The Heritage". Doors will open at 7.30 p.m. Your support would be deeply appreciated.